Below you fill find all funeral homes and cemeteries in or near Mapleton. Mapleton is also known as: Monona County / Mapleton city. Zip codes in the city: 51034. Monona County funeral flowers can be purchased from one of the local funeral shops we partner with. 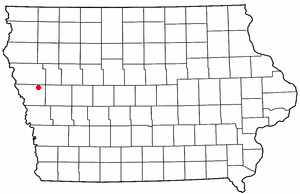 Some of the notable people born here have been: (richard d. kisling). It was revealed on September 26th, 2018 that Dwan Luree "Dee" Carter (Martin) perished in Bonita Springs, Florida. Ms. Carter was 88 years old and was born in Mapleton, IA. Send flowers to share your condolences and honor Dwan Luree "Dee"'s life. It was written by Des Moines Register on June 26th, 2017 that Lyle Phillips died in Mapleton, Iowa. Phillips was 77 years old. Send flowers to express your sympathy and honor Lyle's life. It was noted by Des Moines Register on August 2nd, 2016 that Allen Boettger died in Mapleton, Iowa. Boettger was 50 years old. Send flowers to express your sympathy and honor Allen's life. It was written on March 27th, 2016 that James W Myers passed on in Scottsdale, Arizona. Myers was 81 years old and was born in Mapleton, IA. Send flowers to express your sorrow and honor James W's life. It was reported by Kearney Hub on February 5th, 2015 that Ina "LaVonne" Brown (Query) passed away in Nebraska. Ms. Brown was 98 years old and was born in Mapleton, IA. Send flowers to express your sympathy and honor Ina "LaVonne"'s life. It was noted on February 5th, 2015 that LaVonne Brown (Query) perished in Mapleton, Iowa. Ms. Brown was 98 years old and was born in Hendley, NE. Send flowers to express your sorrow and honor LaVonne's life. It was reported by Corvallis Gazette Times on July 24th, 2014 that Earl K Sr Powell passed on in Corvallis, Oregon. Powell was 87 years old and was born in Mapleton, IA. Send flowers to express your sorrow and honor Earl K Sr's life. It was revealed by Des Moines Register on April 13th, 2013 that Wanda Throckmorton died in Mapleton, Iowa. Throckmorton was 90 years old. Send flowers to express your sorrow and honor Wanda's life. It was disclosed by Peoria Journal Star on March 26th, 2013 that Phyllis Jean Ellis (Freerking) perished in Washington, Illinois. Ms. Ellis was 83 years old and was born in Mapleton, IA. Send flowers to express your sorrow and honor Phyllis Jean's life. It was revealed by Press Enterprise on March 19th, 2013 that Leonard W Bartels perished in Riverside, California. Bartels was 84 years old and was born in Mapleton, IA. Send flowers to express your sympathy and honor Leonard W's life. Mapleton is a city in Monona County, Iowa County, Iowa, United States. The population was 1,416 at the 2000 census. . . .
Visitation will be 4 to 8 p.m. today, with the family present 6 to 8 p.m., at the funeral home. Kathleen was born Dec. 24, 1926, to Henry and Catherine Jacoby of Mapleton, Iowa. She attended and graduated from Saint Mary's Catholic School in Mapleton. Listing all funeral homes in Mapleton, Iowa so you can easily send flowers to any location (same day delivery) or find any funeral service. Mapleton Funeral planning made easy! Learn how to pre-plan your funeral in Mapleton, Iowa, including step-by-step directions. We work with local florists and flower shops to offer same day delivery. You will find budget sympathy flowers in Mapleton here. Our funeral flowers are cheap in price but not in value.